You know the drill: exfoliate away those dead skin cells to rejuvenate your face. But what if those dead skin cells have a purpose? They’re part of your skin barrier, and it’s the secret to healthy skin. The skin barrier is the topmost layer of your skin. It is thicker than the others and comprised of a “brick wall” of dead skin cells held together with lipids. This acts to protect your skin from environmental factors and other damage as well as to keep in moisture. A damaged or thin skin barrier can result in dryness, flaking, redness, irritation, itching, and sensitive skin. As with anything, prevention is better than triage, so protecting your natural skin barrier from damage is better in the long run than trying to rebuild it with products. Natural skin is super trendy in 2018, so try these tips to keep it healthy from the inside out whether you have sensitive skin or not. Do you use a ton of different products? Do you know exactly how they’re affecting your skin? If you have a lot of products, chances are at least one of them isn’t optimal. Avoid anything with harsh cleansers like witch hazel and alcohols or detergents (sodium lauryl sulfate strikes again). Watch out for potential irritants like perfume too. Be mindful of how often you use products with salicylic acid and similar because they are designed to permeate and weaken the skin barrier. While products like these can have a place in your skin care routine to help with oil and acne and to help rejuvenate collagen growth, try not to use them every day. The part of the skin barrier that takes a beating is the lipid barrier that holds the dead skin cells together. When this is breached, bad things can get in and cause inflammation and good things like moisture can get out. You can help rebuild your skin barrier by using products with ceramides, antioxidants, and linoleic acid to nourish your skin barrier and make it easier to tolerate more “active” products like retinoids and salicylic acid. Drink more water! This is the number one piece of health advice around and it’s also the number one piece of beauty advice we can share, too. You’re mostly water and as you age you dehydrate, so make sure you top up. And eat a varied and healthy diet. The nutrients will keep your skin glowing and ingesting essential fatty acids (think omegas) will make their way to your skin. Wheat and rice have naturally-occurring ceramides that can benefit your skin directly too! In addition, try to avoid environments that can damage the skin barrier like high heat (yes, wear sunscreen! ), dry air, smoke, or extreme cold and wind. Try not to take super hot baths as this can strip the skin. And lastly, don’t stress. Stress can thin skin and weaken the barrier and it slows down all healing processes, including the skin’s. Remember, your skin is an organ just like your heart and lungs and it can be affected by stress as well. As we noted, exfoliation can and should be part of a healthy skin regime, but be careful how you do it. Try using alpha hydroxy acids or polyhydroxy acids which are gentler than salicylic. If you want to do a harsher treatment like lasers or peels, take the effect on your skin barrier into account. You’ll need to be very careful about protecting your skin afterward and be mindful to work on building it back up. 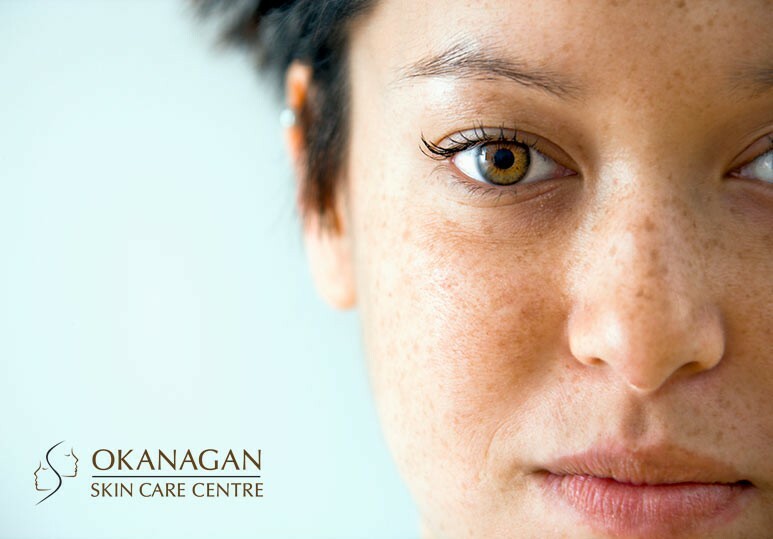 If you want to rejuvenate your skin and promote collagen growth with a deep skin treatment like laser, microdermabrasion or micro needling, you should talk to a trained professional about concerns for your sensitive skin and skin barrier before, like our talented Kelowna staff. If you are considering facial rejuvenation, don’t neglect your skin barrier. Talk to a professional about the way a procedure can impact sensitive skin by using our online contact form or call us at 250-868-9290.